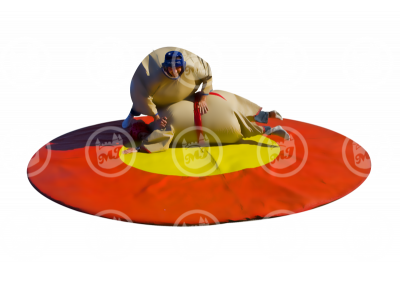 These inflatable Sumo Suits are fun for teens and adults alike. 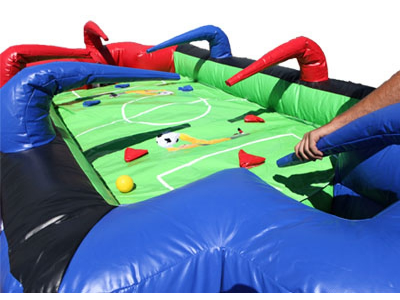 Provides hours of competitive fun. 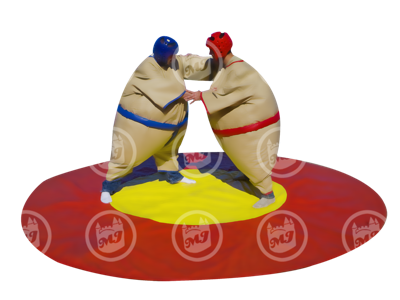 Includes two teen-adult size suits, two helmets, a round sumo mat and an air pump for the suits. 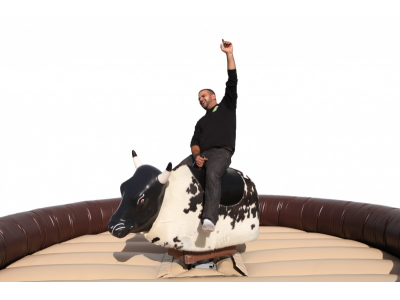 The Mechanical Bull the center of attention at any party or event. 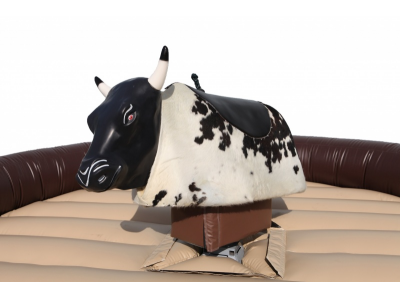 This Mechanical Bull rental is great for all ages, can be controlled for slow movement for smaller kids, and can also buck and spin really fast for teens to adults. 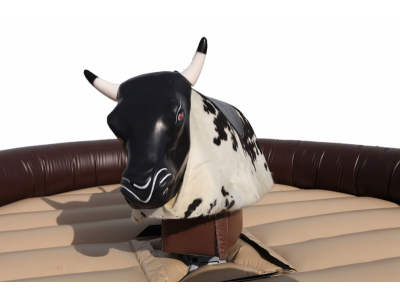 The Bulls head is made of Sofolex Soft Foam for the safest bull ride in the industry. 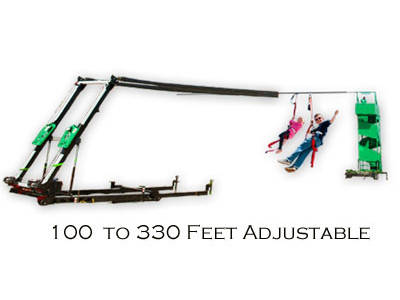 Price includes an operator attendant for the duration of the event. 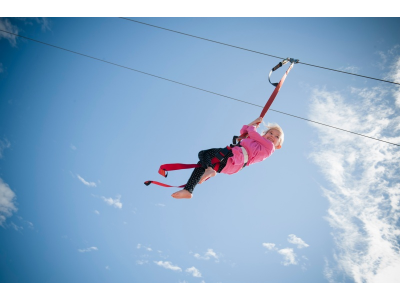 This exciting and extreme Zip Line Ride is the best mobile zip line in the industry! Race a friend with the dual lanes and see who reaches the end fastest. 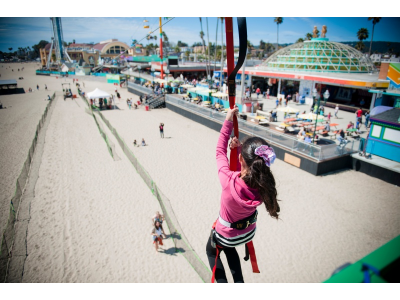 Adjustable zip line cables can make this ride 100 feet long or up to 330 feet long, so it can be adjusted to fit in your location. 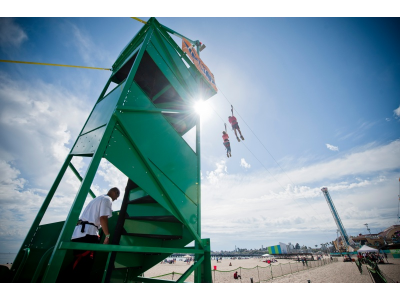 Climb up the spiral stairway, get strapped into our safe harnesses, and take a leap of fun as you shoot through the air and of to your destination. 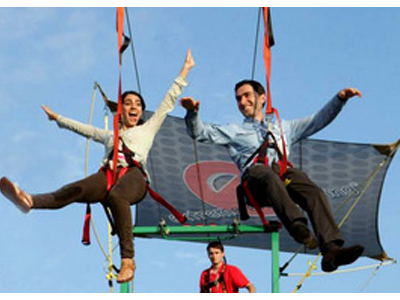 Zip Line Ride includes 3 attendants, 1 at the top of the stairway and 2 at the bottom end of the zip line. 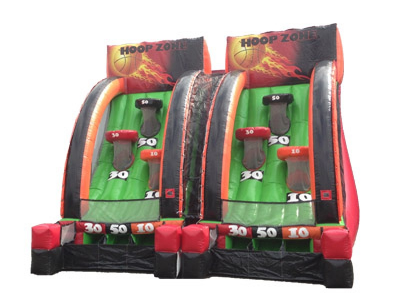 The Dual Hoop Zone is a fun and interactive game that will keep you wanting to shoot for the highest score and compete with one another. Take a shot and see if you can get 50 points, 30 points, 10 points, or if it will be a complete miss. Shoot best out of 10 to see who can get the most points. 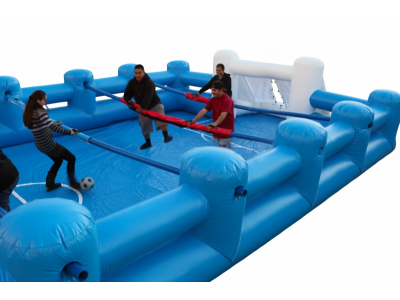 Great for carnivals, basketball competitions, competitive events, and more! 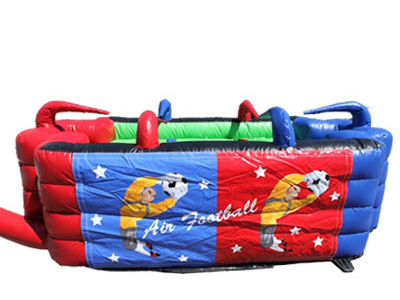 Includes 2 basketballs. 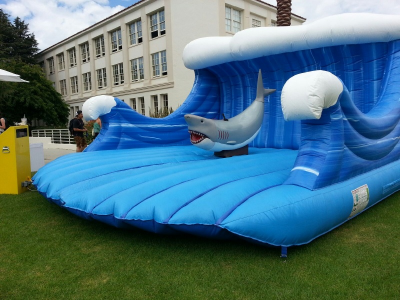 The Mechanical Shark Ride is a very exciting and unique ride that will make you conquer your fears of ever encountering a shark. 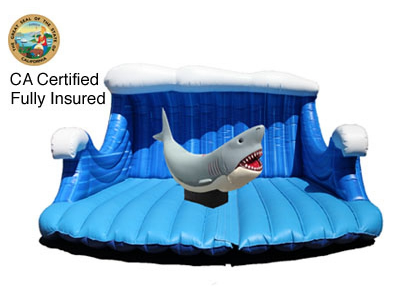 This mechanical shark rental comes with an inflatable mat, control box with different difficulty levels, and an attendant for the event duration. 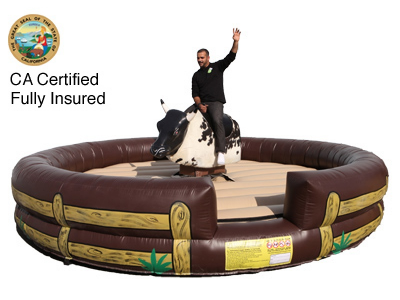 Great for tropical events, Summer time parties, adult events, Halloween events, and pool parties. 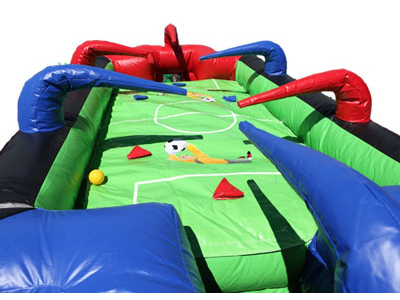 Rent the 12′ tall Hi Striker Carnival Game for your next carnival themed party or event. 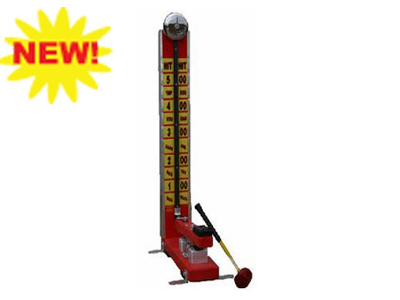 The Hi Striker game is great for kids 8 up to 18. Comes with the maul used to hit the Hi Striker. 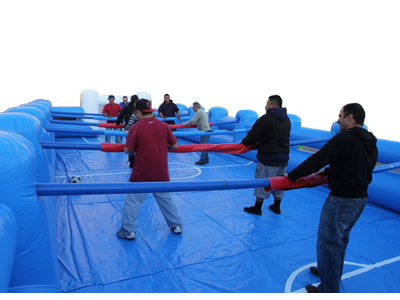 Test your strength and the strength of your guests with this class carnival game. 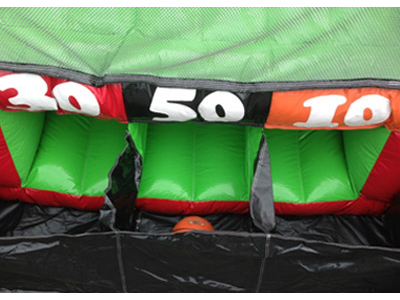 The Backyard Dunk Tank, aka Dunking Machine or Dunking Booth, is just like our Dunk Tank 350, however, it is foldable so we are able to deliver it to more backyard locations and areas with a tighter pathway to the setup location. 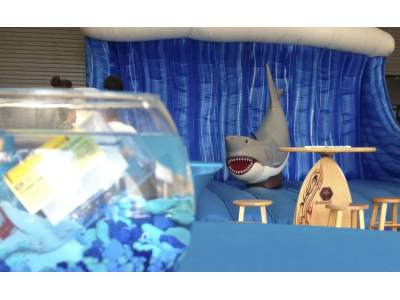 Features stairs to help get on the seat and stairs to help get out of the tank, safety bars in front of the person on the seat, and a window in the tank to see the person in the water. 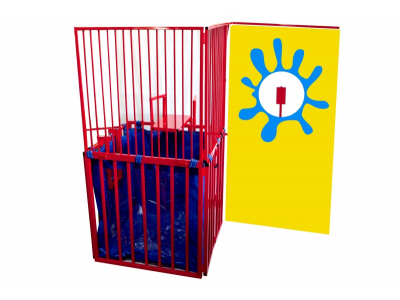 Dunk Tanks are great for hot days to cool off and have fun.